In 2018 we have been ranked 1st in Queensland and 11th in the world on the Shanghai Global Rankings of Academic Subjects. We have also received the top Excellence in Research Australia (ERA) ranking of 5 (out of 5) in 2015 which is 'well above world standard' and reflects our high calibre of researchers and research leadership. The School’s remarkable overall research performance is a result of high quality research achievements, including research outputs, research income and esteem measures. The School’s research agenda is driven by the Deputy Head of School (Research), currently a position filled by Professor Wendy Chaboyer. Under her leadership, the School provides seeding funding to early and mid career researchers (who are mentored by senior staff), senior researchers (to support large funding bids) and for Higher Degree by Research training such as funding a research school and visiting scholar. The School of Nursing and Midwifery offers students the opportunity to undertake research-based degrees. The School's key research strengths led by several professors and associate professors are in the areas of: acute and critical care; ageing and older people; health professional education; knowledge translation; midwifery, maternity, newborn and family; patient safety; vascular access devices and infusion therapy; and women’s health and wellness. The School provides an excellent research culture that supports Higher Degree Research (HDR) students developing and progressing relevant and innovative research. The Master of Philosophy (MPhil) program can be taken on either a full or part-time basis. The degree of Master of Philosophy is awarded on the basis of a thesis prepared under supervision that presents the results of original research in a scholarly form, demonstrating the candidate's knowledge of the research topic and the disciplines it embraces, as judged by independent experts applying accepted contemporary international standards. The Doctor of Philosophy (PhD) program can be taken on either a full or part-time basis. The PhD is awarded on the basis of a thesis prepared under supervision that makes an original, significant and extensive contribution to knowledge and understanding in the relevant field of study, as judged by independent experts applying accepted contemporary international standards. Candidates are expected to publish academic material during their research degree, and may include some of these materials published during their candidature in the body of their thesis. 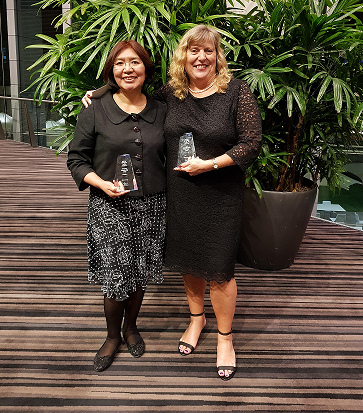 At the 43th Australian and New Zealand Annual Scientific Meeting on Intensive Care (11 - 13 October, 2018 Adelaide, South Australia) PhD candidate Laura Alberto (supervised by Professor Andrea Marshall, Dr Rachel Walker and Professor Leanne Aitkin) won the Best Nursing Scholarship award and Professor Wendy Chaboyer and her team including Dr Frances Lin and Professor Lukman Thalib won the Best Nursing Free Paper. 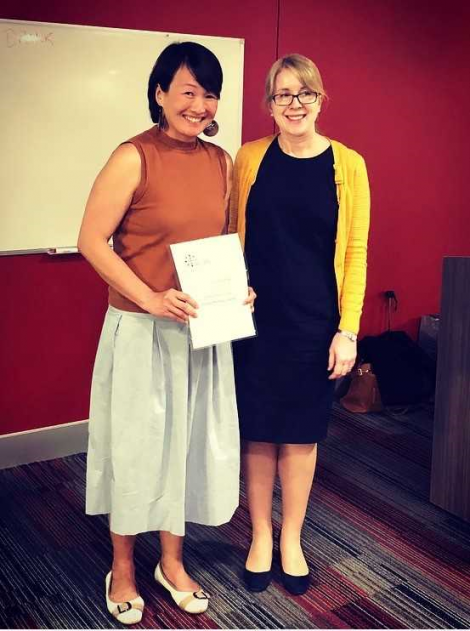 PhD candidate Evelyn Kang (supervised by Professor Brigid Gillespie, Professor Wendy Chaboyer and Dr Georgia Tobiano) awarded the Australian College of Perioperative Nurses (ACORN) Queensland 2018 Research Grant for $10,000. A 5-year Memorandum of Understanding (MOU) for academic and scientific cooperation has been signed between Griffith University and the University of Michigan. Click here for more information.